Board index General Discussion What are you wearing today? 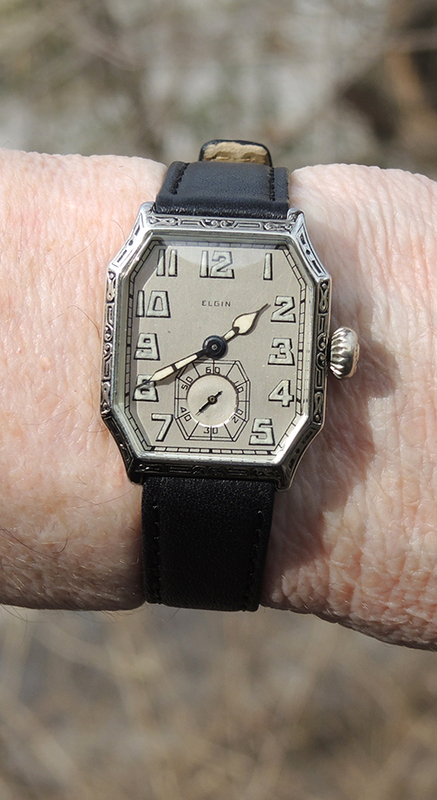 Show off your vintage watch to others!! Can you believe I don't own a Piping Rock?! Fortunately, I have a friend who let me borrow one of his for the afternoon. I’m starting off the week with this Hamilton World War II era Cushion (circa 1940) with the seconds at the 9 o’clock position. The 10k yellow gold filled Wadsworth case runs a grade 986 movement that was manufactured between 1915 and 1921. Wearing this 1940’s palladium and diamonds Longines today for a wrist test after service and repair. 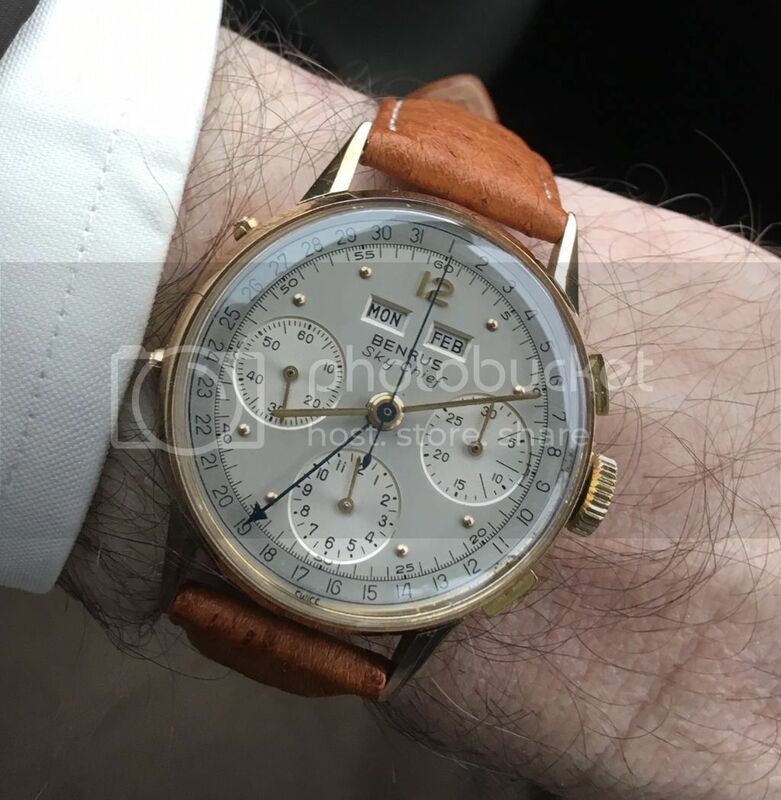 Today the 1955 K-100,18 KT watch with a nice Hamilton Alligator band! Patrick Hull The cld guy and I like automatics! Which Yankees player got this one? Since Bryan is visiting with Mark, the Nookster, and Mark has Lou Gehrig's Piping Rock ........ my best guess is that Bryan is wearing the Gehrig Piping Rock. Today, a true funky and clunky Wyler. Notice the kaleidoscope dial.